With reports of surge in deposits in Jan Dhan accounts with as much as Rs. 21,000 crore being parked in them following demonetisation, Congress on 24 November sought a CAG probe into the entire issue saying the country is being taken for a ride. "This whole Jan Dhan business, I have always believed from Day 1, that there is more to it than meets the eye. 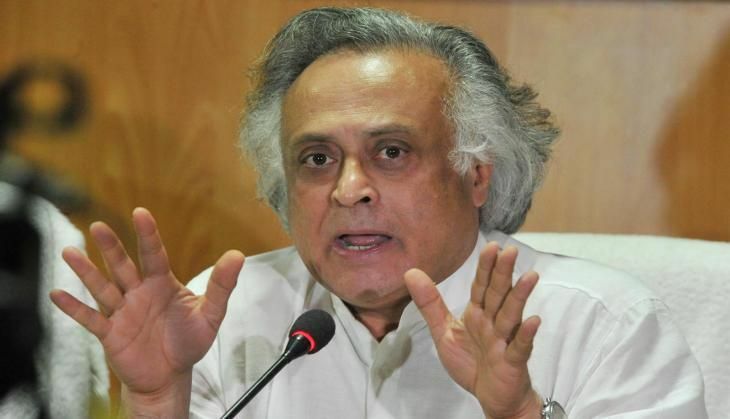 We hope the CAG will do a quick inquiry into this whole Jan Dhan issue," Congress spokesperson Jairam Ramesh said. He said, "the entire country is being taken for a ride on the Jan Dhan issue." Jan Dhan Accounts have seen a huge surge in deposits, with Rs. 21,000 crore being parked in such accounts following demonetisation announced earlier this month, with maximum being in West Bengal and followed by Congress-ruled Karnataka. In the last 13 days, banks have been flooded with deposits in Jan Dhan accounts that have touched Rs. 21,000 crore, sources said. On 8 November, Prime Minister Narendra Modi in a surprise move announced demonetisation of 500 and 1,000 rupee notes and since then, long queues before banks and post offices are seen to deposit or exchange these currencies. Mamata Banerjee-ruled West Bengal leads the pack of states which has seen the highest deposits so far followed by Karnataka. Following the currency withdrawal, the total balance has crossed Rs. 65,000 crore to Rs. 66,636 crore. As of 9 November, the balance in about 25.5 crore such accounts was Rs. 45,636.61 crore. With a view to increasing banking penetration and promoting financial inclusion and with the main objective of covering all households with at least one bank account per household across the country, Pradhan Mantri Jan Dhan Yojna (PMJDY) was launched on 28 August, 2014. Such accounts have a deposit limit of Rs. 50,000.